Shirt: Twin button cuff fastening. Removable branded collar bones. Twin pleat back. Left breast pocket. Button down collar. Machine washable. Helpful & well informed staff. Prompt and efficient delivery. Quality product. Excellent service-super quality goods over 3 orders. Would order again. I have bought both formal and casual clothes from Brook Taverner over the last few years and I have never been disappointed in the quality of the clothes nor the efficiency in the ordering and delivery process - 1st Class. The Website is easy to navigate around and the choice of clothing is first rate. Given the quality of the clothing the prices show great value particularly with the discounted offers and cash back! Detailing and feel really really after to me. 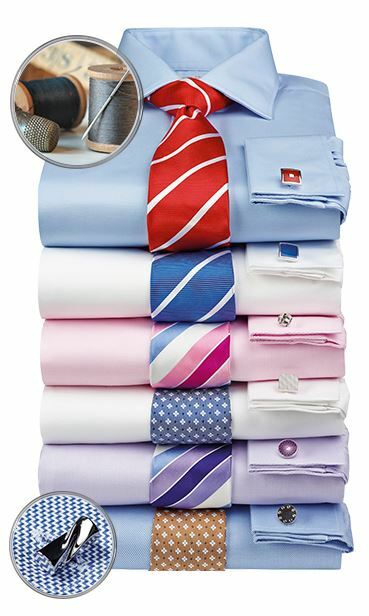 Your shirts tick all the boxes . I like good shirts and so few shirts these days are first rate. I could go to any expensive venue and know that my appearance will be a credit to me. My husband hates shopping, so to find lovely clothes at reasonable prices is a delight . Everything was as described and have enjoyed a holiday in Antigua since . It all washed well with no shrinkage or colour change . Unfortunately both of us have not shrink either but our colour change is lovely ! 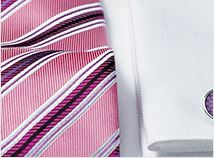 All your shirts use excellent fabrics and perfectly made. Your Catalogue is excellent and so is your service. 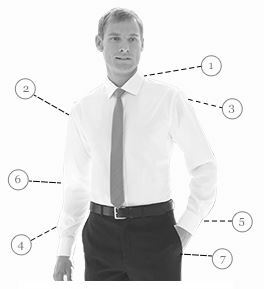 One very important point to mention on your business shirts, is that the collar point never bends under, unlike one of your competitors, even with collar stiffeners. 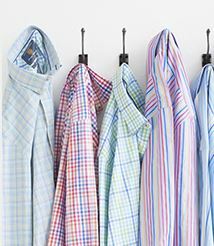 I have been a satisfied customer of Brook Taverner clothing for a number of years initially through a local all retail store. More recently I have made purchases on line secure in the knowledge of the high quality of the product. Their mail order service is of the same high quality and is highly recommended. Well cut, good fit whether classic or tailored. see above. All explained in the first review. Good kit, well made and lasts. My wife loves this on me. A very flattering pale turquoise. Another gem! Excellent quality and fit. Very pleased with the product. What is the sleeve length of extra large? Do you do longer length? The sleeve length of all our casual shirts is 35". 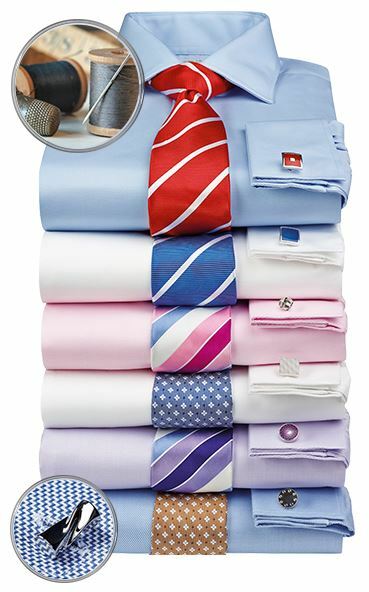 Brook Taverner - Great Quality & Service I have bought both formal and casual clothes from Brook Taverner over the last few years and I have never been disappointed in the quality of the clothes nor the efficiency in the ordering and delivery process - 1st Class. The Website is easy to navigate around and the choice of clothing is first rate. Given the quality of the clothing the prices show great value particularly with the discounted offers and cash back!